Humboldt Park was only one block from my house growing up in Racine, Wisconsin. I was born in 1950 and my family moved to the southwest side neighborhood when I was six. The houses were starter homes and the six square blocks south of the park were plotted on a grid. Each of the homes were sited identically, small Cape Cod homes with minor embellishments of color, shutters, some with dormers on the second story, and others a living room bay window. There was some comfort and equality in the sameness of my neighborhood. The park was four square blocks of absolutely flat and grassy terrain. On one end of the park was the playground, a teeter totter, sandbox, metal monkey bars, a steel slide, and of course a trio of swings. In the middle of the park were two softball diamonds with chain link fences that sounded like tambourines when the pitched balls sailed passed the catcher and hit the fence. Behind the chain link fences were sets of wooden bleachers. Years later a community center would be built between the playground and softball diamonds, and as the city grew, a fire station was constructed at the far end of the park. That particular day when I was twelve or thirteen I must have needed to wander from my home alone. I was the eldest of four children at that time and like most firstborns was the responsible one, a little older than my years, yet still a child at heart. I could be both gregarious and introspective. That day, as I remember it so many years later, I was the latter, a child approaching my teenage years, asking more questions than I was finding answers. When I reached the park, I saw a lone boy, six or seven years old, with a cast on his right arm from his wrist to above his elbow, a muslin sling knotted behind his neck, cradling his arm which was set in a perfect right angle. With his left hand he was unsuccessfully attempting to raise his body’s weight so he could sit on the swing. I walked over to help him, lifting him up onto the seat. He was shy, and looked sad, his brown eyes, glossy like my sister’s teddy bear; perhaps he’d been crying. I immediately felt compassion for him. Somehow his visible injury connected to a sadness or vulnerability I carried with me to the park that day. We chatted as I pushed him on the swing. I learned he lived across the street from the park on the corner. I often walked past his house when I went to the A&P grocery store to pick up something my mother needed, or when I rode my red bike to the new McDonald’s that opened six blocks from my house to pick up dinner when Mom was tired after work at her factory job at Motor Specialty. Let’s call the little boy Mike, not his real name. Whenever a story has an anonymous character, there’s a reason. Yes, that’s true in this story too, and it would take a number of years, before I learned why his arm was in a cast that day. You’ve probably already surmised. Mike was the child of violence. I learned from my sister that day as she cried, that his father beat him as a child, once breaking his arm, twisting and bending it so hard the bones cracked. Mike could no longer remember what he did to cause his father’s rage, yet he carried those emotional scars all these years later. Bones heal, sometimes weaving stronger over time, yet our heart and self-worth may take decades to be restored, and the cycles of violence continue to be repeated. My sister eventually broke up with Mike, but violence continued to stalk her in her future relationships. 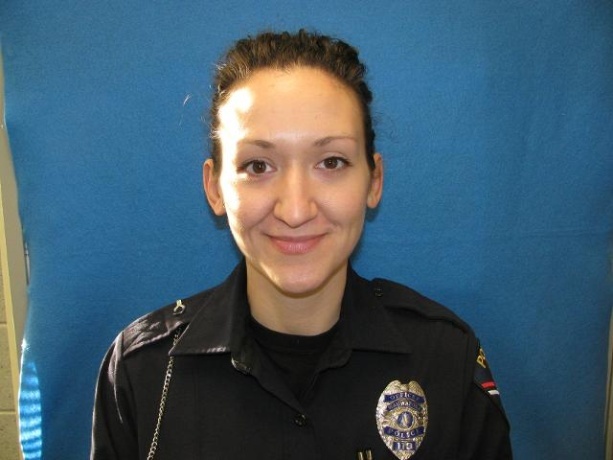 While light snow fell, shimmering in the glow of a streetlight at 4:30 a.m. on Christmas Eve, officers found the body of Police Officer Jennifer Sebena lying on the ground in the parking lot behind the Wauwatosa, Wisconsin Fire Station with several gunshot wounds to her head. Those first on the scene announced “officer down,” followed by the declaration of an end of watch. Investigators charged her husband, former Marine Benjamin Sebena, an Iraq War veteran, with her murder. While being interrogated on December 26, Sebena admitted to detectives he had been stalking his wife for days, and during the early morning hours of Christmas Eve waited for her for several hours at the Wauwatosa Fire Station where she would typically take a break. When she emerged from the station, he ambushed her, shooting her five times in the head, the first two shots with his pistol, the final three shots with her service revolver. He told investigators that he took her gun from her and shot her “three of four” times, to ensure she was dead and wouldn’t suffer. Earlier that month Jennifer had told a fellow officer that she was a victim of domestic abuse and that according to the criminal complaint, Benjamin had put a gun to her head on December 6. Benjamin stated during the interrogation that he was jealous of other men being around his wife. First, let me drive some stakes. I’m a woman, a feminist, and I support stronger gun control. My nephew is a decorated Police Officer in Las Vegas, Nevada, and two of my great uncles names are engraved in the Wisconsin Law Enforcement Memorial at the State Capitol in Madison that honors officers who died in the line of duty. Lastly, I support programs that protect and serve vulnerable women and children. I don’t pretend to know the answers. Like the preteen child I was when I helped the boy at the playground with the broken arm, I have more questions than answers, yet it’s our civil and moral obligation as a community to ask the questions and seek the answers. How do we protect women and children from violence? How do we serve families who are entrapped in the cycle of domestic abuse? How do we protect and serve those that protect and serve us whether abroad at war, or here in our own streets and homes? We begin in our own homes and on the streets where we live. It’s our personal and public duty to protect and serve. If you were moved by Linda’s words, you could donate to one of the Wisconsin Domestic Violence Shelters, or in Jennifer Sebena’s name, donate to the Wisconsin Law Enforcement fund. (Donations help WLEM achieve its goal to ensure that our Wisconsin law enforcement heroes are Honored and always Remembered.